Golden Horseshoe food businesses are leading their own way – upstream! The expression “take things into your own hands” comes to mind when learning about Jason and Tamar Oziel’s pioneering aquaponics venture based near Whitby. The husband and wife team, looking to launch new careers for themselves, found a void (and thus an opportunity) in the hormone-free, sustainably-sourced fish market, resulting in their founding of NOA Fisheries in 2010. Why aquaculture? The Oziels set their sights in this direction based on the simple notion that an increased demand for food and a growing population leads to a growing, robust food industry. And when their interest peaked in aquaponics, Jason and Tamar couldn’t find a Canadian source for tilapia stock, so—taking things into their own hands—they decided they would become the Canadian source. Though it was an uphill battle, as most new business ventures are, their intuition has undoubtedly pointed them in the right direction, as NOA Fisheries has earned significant international attention, and is now the top source for guaranteed hormone-free all male tilapia in Canada. Shipping internationally, NOA Fisheries pride themselves on supplying all male tilapia that are of the highest genetic quality, hormone-free and pure strain. The Oziels were first introduced to aquaponics in a hydroponics course while considering purchasing a cucumber farm. Highly intrigued by aquaponics, they hopped on a plane to the Virgin Islands to enroll in a course taught by the “godfather of aquaponics”, Dr. James Rakocy. Upon their return, they enrolled in several more courses on aquaculture, hydroponics and agriculture. But after completing The International Aquaponics Course at the University of the Virgin Islands, Jason and Tamar couldn’t find an advanced aquaponics course for a temperate climate. Their first aquaponics course was held in Toronto in 2012 and attracted delegates from across North America. 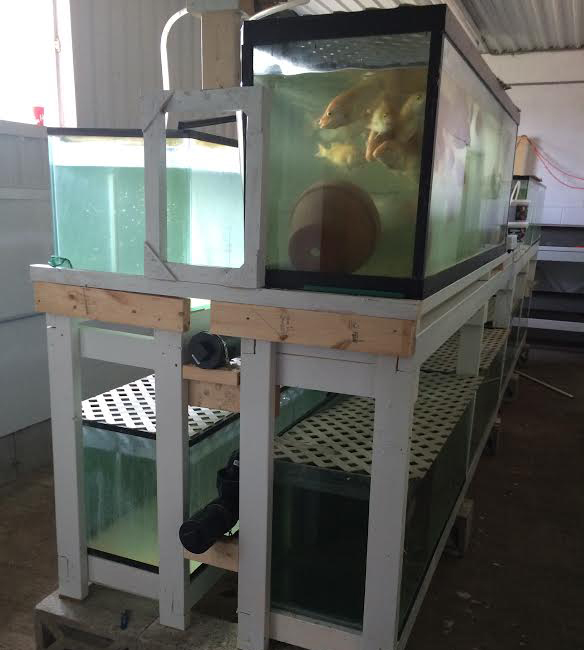 “We brought in an aquaponic system and live tilapia for the hands-on portion,” explained Jason. This hands-on approach (e.g. harvesting eggs) continues in the comprehensive courses they now offer from their Whitby farm, with leading experts using well-researched methods. Like the tilapia supply itself, these courses have grown to be internationally recognized and valued for their content. The next course is fast approaching, on June 27-28-29 at the Whitby Farm: an exciting course that will offer all of the information needed to design and maintain and aquaponic system of any size. 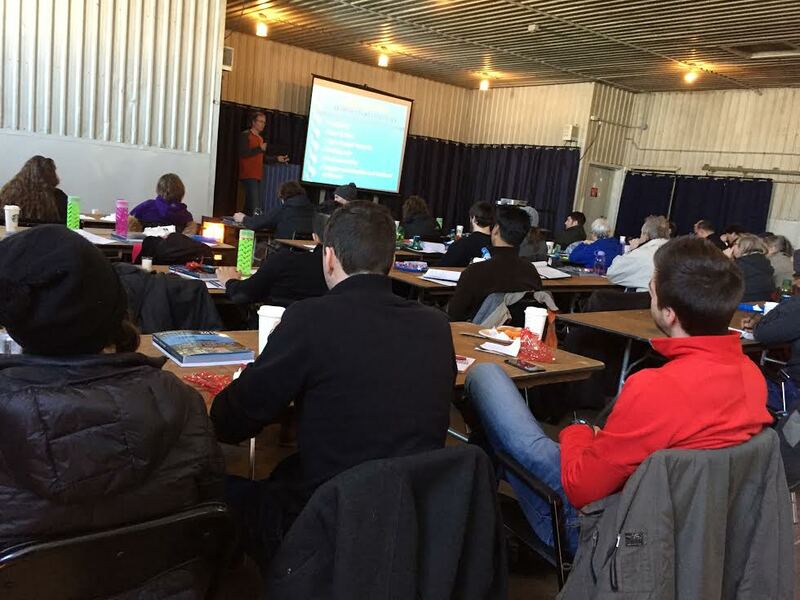 A portion of the barn in Whitby has been converted into a stage and classroom for the courses. 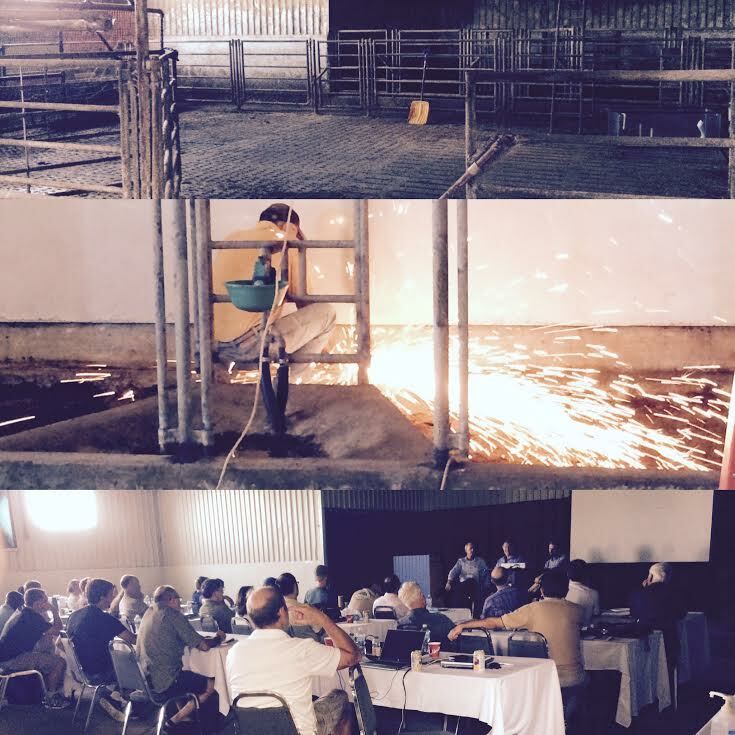 Previously a dairy farm, the property already had an insulated building, a large well and several small insulated rooms to get the tilapia business started. NOA Fisheries continues to grow, with the addition of more tanks, another 10,000 sq ft of barn space, and a greenhouse to be finished by the end of 2016. 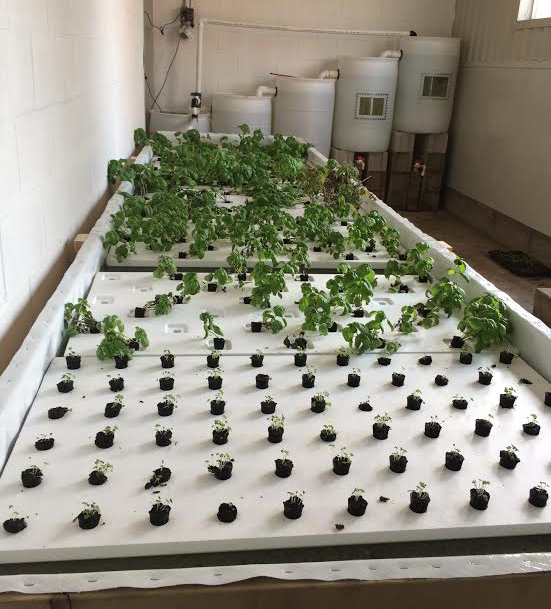 If you’re interested in learning more about aquaponics or attending the upcoming June course, visit the NOA Fisheries website.